To read more insights from Daniel C. Peterson, check out his blog, Sic Et Non. 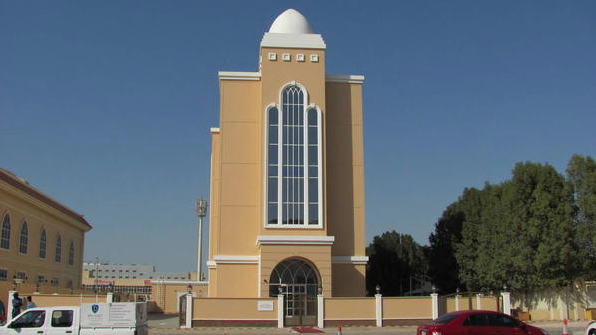 Cover image: The Abu Dhabi Stake Center in the United Arab Emirates. It seems that Muhammad bin Salman, the Saudi crown prince, who has broken with tradition by allowing cinemas to open, open-air pop concerts to be held, and, most amazing of all, women to drive, is thinking about permitting the opening of churches within the boundaries of Saudi Arabia. In October 2017, he indicated that he wants his nation to be “open to all religions, traditions, and people around the globe.” He has even hosted the Maronite Christian patriarch, as well as a papal emissary (Cardinal Jean-Louis Tauran), in the royal palace. In other words, Muhammad bin Salman may well face opposition from within his own extended ruling family if he chooses to permit the construction of Christian churches within the Kingdom. Out among the date palms and the sand dunes near the eastern oil fields and the city of al-Jubayl, fenced off by the Saudi antiquities authority and surrounded by guards, lie what seem to be the ruins of a seventh-century Christian monastery, which suggests that seventh-century Islam permitted the construction of churches on the Arabian Peninsula. Additionally, early Arab chroniclers record the existence of a Christian synod in a diocese called Beit Qatraye, near al-Jubayl, in AD 676, fully forty-four years after the death of the Prophet Muhammad. The Economist reports that at least some Saudi theologians think that the Prophet’s prohbition of two dins in Arabia has been misinterpreted. They want to argue that the word refers not to religions as such, but to religious authorities. They also point to the so-called “Constitution of Medina,” which seems to me very promising territory and which I think I’ll treat at greater length in another blog entry sometime. I lived in Saudi Arabia in the 70's. At the time we operated as the LDS Morale Group, like the Catholics operated as the St. Christopher's Morale Group. We met in a school building at Dhahran's Aramco Compound. what???? There is a STAKE in UAE???? ?